On 30 December 2008, the 63rd General Assembly of the United Nations adopted a resolution proclaiming 2011 as the International Year of Chemistry, placing UNESCO and IUPAC at the helm of the event. Ethiopia submitted the UN resolution calling for the year, which will celebrate the achievements of chemistry and its contributions to the well-being of humanity. The year will also draw attention to the UN Decade of Education for Sustainable Development, 2005–2014. National and international activities carried out during 2011 will emphasize the importance of chemistry in sustaining natural resources. Chemistry is fundamental to our understanding of the world and the cosmos. Moreover, molecular transformations are central to the production of food, medicines, fuel, and countless manufactured and extracted products. Throughout the year, the world will celebrate the art and science of chemistry and its essential contributions to knowledge, to environmental protection, and to economic development. UNESCO, founded in November 1945 as a specialized agency of the UN, contributes to the building of peace, the alleviation of poverty, to sustainable development, and intercultural dialogue through education, science, culture, and communication. In fulfilling its mission, UNESCO functions as a laboratory of ideas and a standard setter to forge universal agreements on emerging ethical issues. The organization also serves as a clearinghouse for the dissemination and sharing of information and knowledge, while helping member states build their human and institutional capacities in diverse fields. Through these activities, UNESCO promotes international cooperation among its 193 member states and 6 associate members. Its programs in natural science focus on mobilizing science knowledge, and policy for sustainable development in the areas of basic sciences, science education, ecological and earth sciences, water sciences, and climate change. “The International Year of Chemistry will give a global boost to chemical science in which our life and our future are grounded. We hope to increase the public appreciation and understanding of chemistry, increase young people’s interest in science, and generate enthusiasm for the creative future of chemistry,” declared IUPAC President Jung-Il Jin. “I welcome the opportunity to celebrate chemistry, one of the fundamental sciences,” said UNESCO Director-General Koïchiro Matsuura. “Raising public awareness about chemistry is all the more important in view of the challenges of sustainable development. It is certain that chemistry will play a major role in developing alternative energy sources and in feeding the world’s growing population,” he added. The year 2011, the 100th anniversary of the awarding of the Nobel Prize in chemistry to Maria Sklodowska Curie, will also provide an opportunity to celebrate the contribution of women to science. In addition, the year marks the 100th anniversary of the founding of the International Association of Chemical Societies (IACS), which was succeeded by IUPAC a few years later. IACS and IUPAC were established to address the needs for international scientific communication and cooperation among chemists by standardizing nomenclature and terminology. 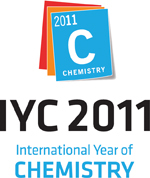 In 2007, the IUPAC Council unanimously endorsed the plan to obtain the proclamation of 2011 as the International Year of Chemistry. Less than a year later, UNESCO’s Executive Board recommended the adoption of such a resolution and agreed to support all efforts leading the UN General Assembly to declare 2011 the International Year of Chemistry.